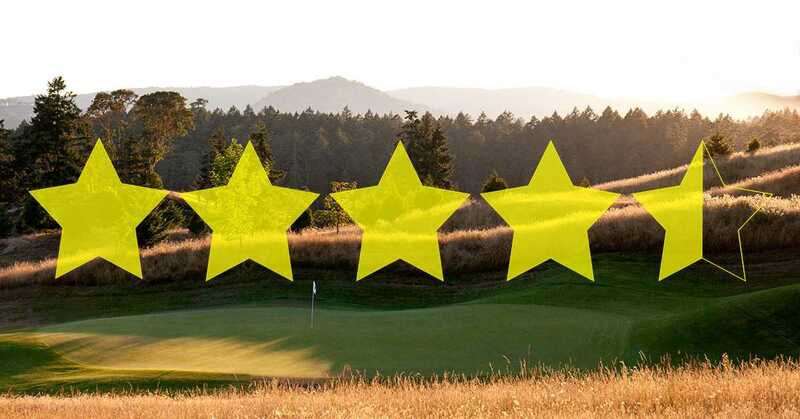 Home » Golfers Rate Golf Vancouver Island 4.5 Out of 5 Stars! Posted January 17th, 2019 by golfvi & filed under Golf Vacations, Tales from the Trail. Survey Reveals…Golfers Love Booking Golf Vacations with Us! We had a great trip. The accommodations and golf courses picked for us have lasting memories. I enjoyed the experience and would definitely use it again. Courteous service and really easy to get help. We had a great time the golf courses were super and accommodations were perfect. We would and have highly recommended it to friends. The golf courses that participated were all enthusiastic participants that made us feel welcome; they appreciated our business. The accommodations complemented this with great facilities. Clearly, GVI and the properties they represent are effectively working in concert for the benefit of the customer. Once I made the decision to book through you it was a delight working with Herman to put the package together…at the end of our trip it was a unanimous 15-person decision that we would book again next year. Your entire crew did a fantastic job! It was a seamless experience and everyone had an amazing time. I would recommend your company to anyone looking for amazing service! There you have it! Perhaps it’s time to find your perfect Golf Vancouver Island stay and play golf package at the best golf courses on Vancouver Island, or talk to our team of experts by calling 1-877-393-6991 to create your own personal custom golf itinerary. Golf packages on the Island offer as much, if not more, than pricey hot spots like Myrtle Beach, San Diego, Phoenix and Palm Springs.